As an Independent Financial Adviser (IFA) and now part of the Vision team, Dave has enjoyed more than 27 years’ experience in the banking and financial services industry. He has a wealth of knowledge and experience across a wide spectrum of the financial industry, and uses this to provide his clients and their families with financial planning advice. 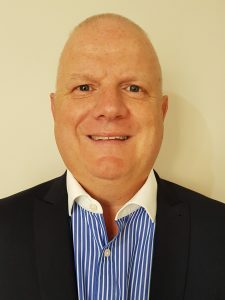 For the last 14 years he has provided advice to clients at HSBC and Lloyds Bank and prior to this, Royal London clients in the comfort of their own homes, throughout South Wales. During this time, he has had the pleasure of building many professional long term relationships with both corporate and personal clients through honesty, trust and integrity. He genuinely cares about his clients and takes immense pride in providing a level of service that he himself, would also expect to receive as a client. Dave recognises that everyone’s personal and financial situations are unique therefore, he will take the time to get to know you and establish what’s important to you as an individual. As a Diploma qualified IFA, he can provide straightforward, unrestricted and transparent advice in a simple and convenient way. He will naturally take time to research the “whole of market” and provide solutions for his clients in creating tax efficient investment portfolios, pre and post retirement planning and protecting their wealth and families through regular face to face reviews. Dave is married and when not at work, enjoys golf and socialising with friends, and also takes part in biannual cycle events raising money for MacMillan Cancer & Prostate Cymru.